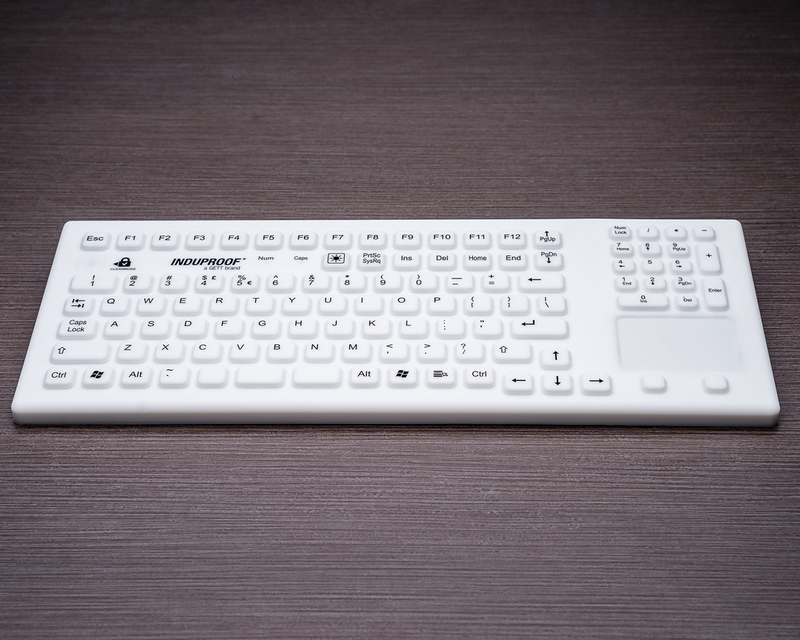 How to clean a key­board pro­per­ly? The InduProof Smart Touch has a full set of keys with a numeric keypad, integrated touch pad and is a convincing product thanks to its pleasant sense of touch and the very high degree of protection that it provides. 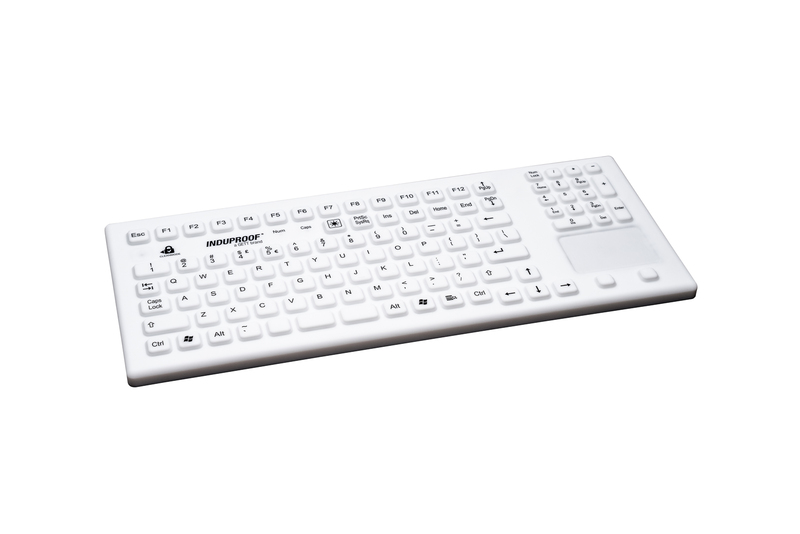 The keyboard best-seller is ideal for use in almost any hygiene-sensitive area. 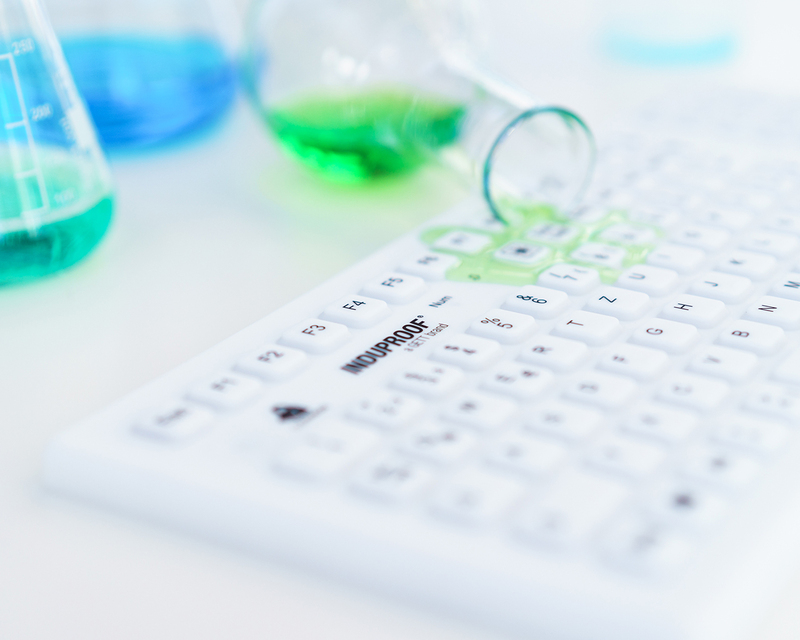 It is possible to completely clean and disinfect the TKG-107. It has a long serviceable life as a result of its high-quality workmanship – after all it is “Made in Germany”. As part of the InduProof® brand family, it is manufactured in line with the highest quality standards. Customisation is also possible, even if you only require a small number of items. Discover more products of the advanced range here! Please use this form for your order or for questions regarding the product.